What is now known as Fire Island National Seashore was first utilized by the Indians for whaling and making wampum as far back as history dates. In the mid 1600’s, settler Isaac Stratford traveled to the barrier island and built a whaling station named Whalehouse Point (across from Bellport) hoping that he and his crew would greatly prosper in the whaling industry with the construction of this new whaling center. It wasn’t until 1825 that the Federal government built the Fire Island Lighthouse at the western end of the Island, putting Fire Island “on the map” so to say. In many cases, The Fire Island Lighthouse was the initial sighting of American land by many Immigrants making the long transatlantic journey from Europe. This centuries old lighthouse still stands, and now also serves as a museum as well as a great Long Island landmark. The history of how Fire Island got its name is a little sketchier. It has been said that the word “fire” may have been improperly translated or transcribed from the word “five” (the number of barrier islands in 1688), or that it was called fire island due to the quantity of swamp fires on the island at that time. Or maybe it was named for the Indian signal fires to the mainland that were seen along the shoreline by sailors, or even fires lit along the shores by “pirates” to lure cargo ships in in order to loot and pillage from them. No matter where the name originated, Fire Island was transformed from its early days of un/under-developed land to the premier spot for artists, actors & writers to escape Manhattan and enjoy newly built beach bungalows, pubs, and speakeasies in the early 1920’s. Actually, up until island-wide land development was fully underway in 1920, the eastern portion of Fire Island was commonly called the Great South Beach. Real estate development then boomed in the 1950’s and by the 60’s Fire Island was a well know hot spot for the elite! With over 20 waterfront communities, each with their own casual personality, Fire Island has not only become a summer hot spot for the wealthy, but is a summer haven for beach lovers of all kinds to enjoy. The communities vary in size, population, privacy and access to activities. Some communities welcome day trippers and share-houses, while some prefer a more private retreat; some communities offer lots of activity (shopping, dining & dancing) and others simply offer a perfect day at the beach! 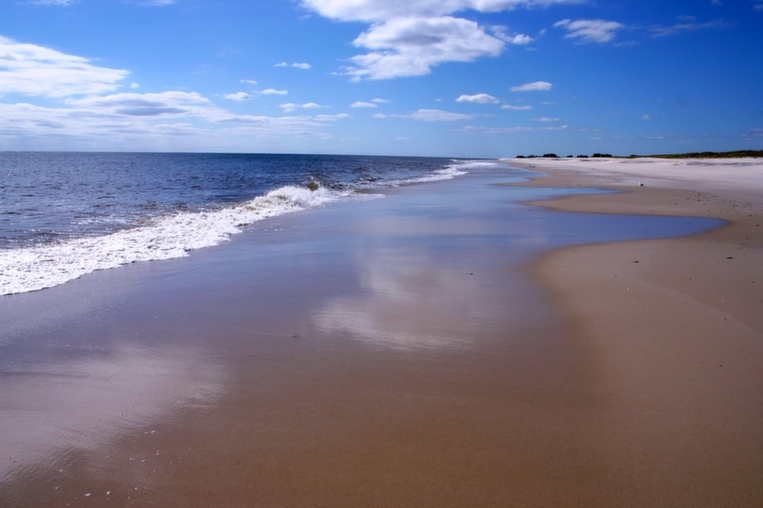 Most communities don’t allow cars, so usually all you’ll need are your flip flops and a relaxed state of mind…If you are thinking about visiting the Fire Island National Seashore, check out what makes each community so unique, and start planning!